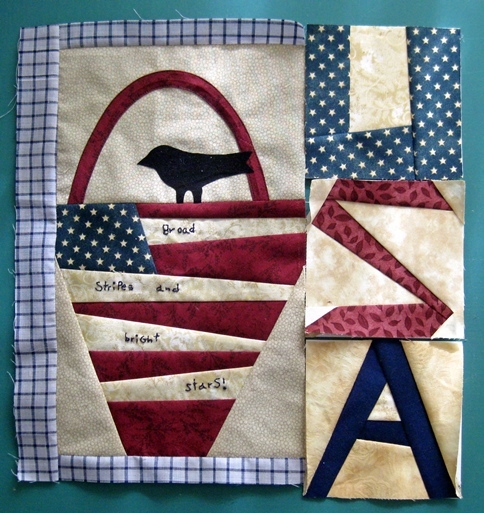 Almost done with some blocks for Humble Quilts Sweet Land of Liberty sew along. I like this one because we are winging it for the pattern and all are making their own interpretation of the blocks unless fortunate to have bought the pattern by Cheri. and on its way to the local NICU. This is my 6th Nearly Insane block and my last. 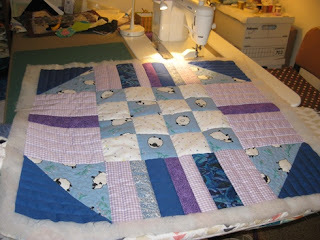 I've decided to make a different set of blocks into baby quilts this year. More on that later. Who wants hexie papers? Link your eye candy - of any kind, old or new for a chance to win 105 of them - enough to make 15 flowers. Blue button below. Party ends Thursday, midnight. I'll be linking to Amanda Jean's Finish it Up Friday, Sarah's Can I Get a Whoop Whoop?, Myra's Finished Or Not Fridays , and Jennifer's Wednesday Wait Loss . Do go by and see all the doings posted. Your baby quilt is so sweet, both front and back. 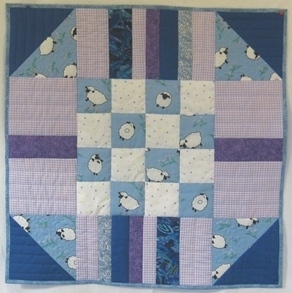 Cute NICU quilt. The fabric you used for the backing is also in my stash! I love your Sweet Land of Liberty so far—it’s going to be awesome! You have really been getting a lot done, and I love looking at all of it! Sweet Land is my favorite! Wow you have been busy. 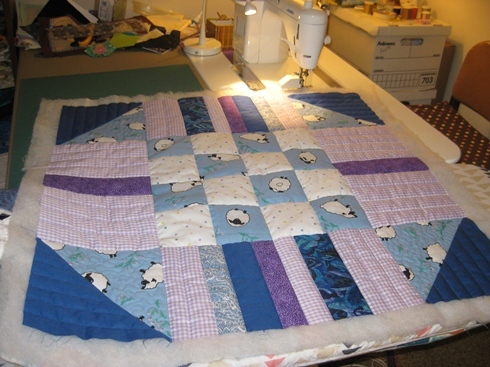 Baby quilt looks gorgeous. The Sweet Land blocks are very well done too. Looking forward to seeing your new baby quilt block. Hugs. Love that Sweet Land of Liberty block! Really cute. 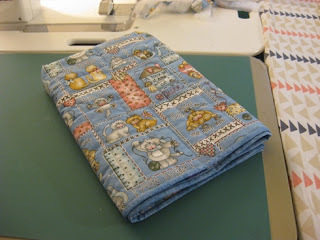 And it's a great idea to base your charity baby quilts on the Nearly Insane. Can't wait to see what you pick for this year. Thanks for linking up to Wednesday Wait Loss! Really love your Sweet Land blocks...especially the "S". So clever...the baby quilt is adorable. You're on fire this year! I only just finished my first thing of the year, so I'm extremely happy to get to link up! Whew! Such a sweet baby quilt. Those sheep are beautiful.